It started last week. 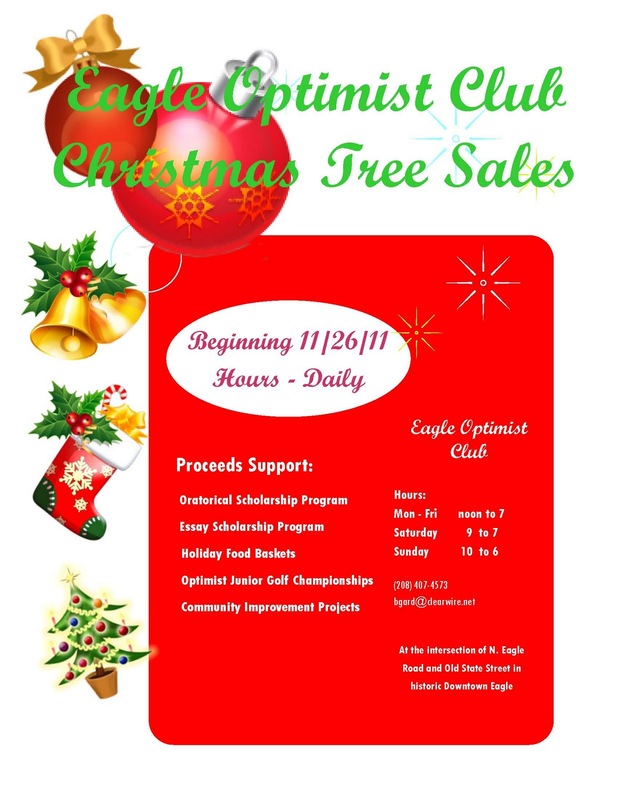 First, Robin Stanhope of the Twin Falls Optimist Club sent a friendly reminder that Christmas was only 45 days away. Then in the car, I heard it ... you know what I'm talking about ... the dreaded first Christmas carol of the season. Point of order, Mr. DJ, it was not lovely weather for a sleigh ride together because I was happily enjoying the delightful 55 degrees and sunny day with no snow in sight, not even in the Boise foothills. 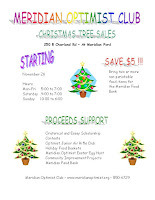 And then my friends in the Meridian and Eagle Optimist Clubs emailed their flyers for the annual Christmas Tree sales. 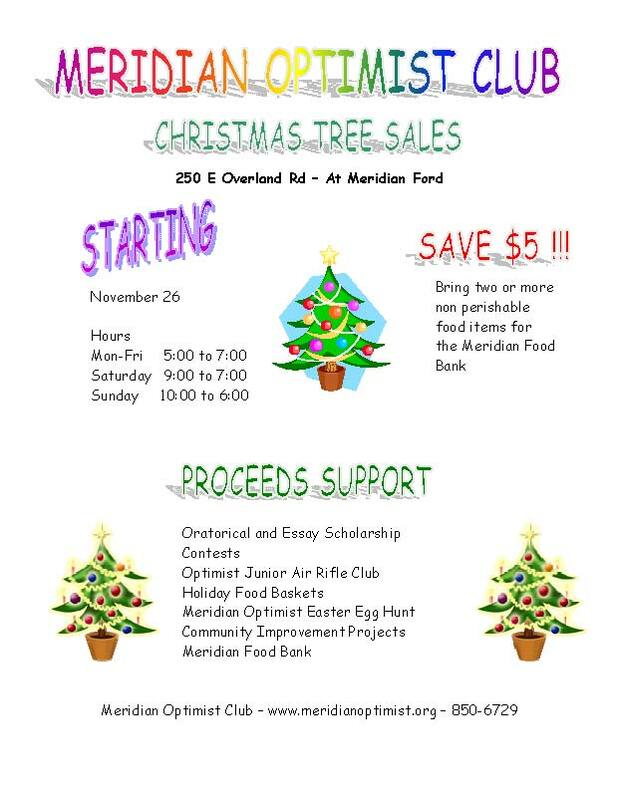 Your favorite Christmas holiday Optimist Club project. A favorite memory from holidays past. 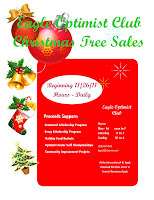 Advertise your Breakfast with Santa or other project. To comment, please click on the link below. We allow anonymous comments on our blog, but it's more fun if you tell us who you are and what Optimist Club you are with. Comments placed two weeks after this post are moderated and will appear a short time after they are made. All other comments should appear immediately. Go to it! Let's start the season with enthusiasm!